I want to share a simple tutorial walking you through the steps to make Waldorf window stars to give your home more color and beauty this season. Aren’t they lovely? The kids and I learned how to make them at school and we’ve been folding and glueing more at home ever since. I love how they catch the rays and glow in different ways depending on the time of day the sun hits them. The months of January and February are notably bleak in the Midwest, and it’s right around now that I am really ready for things to start growing again. Hanging rainbows of light on your windows and walls is a delicate way to add more cheer and charm, helping nudge us through these cold, barren months of rest. 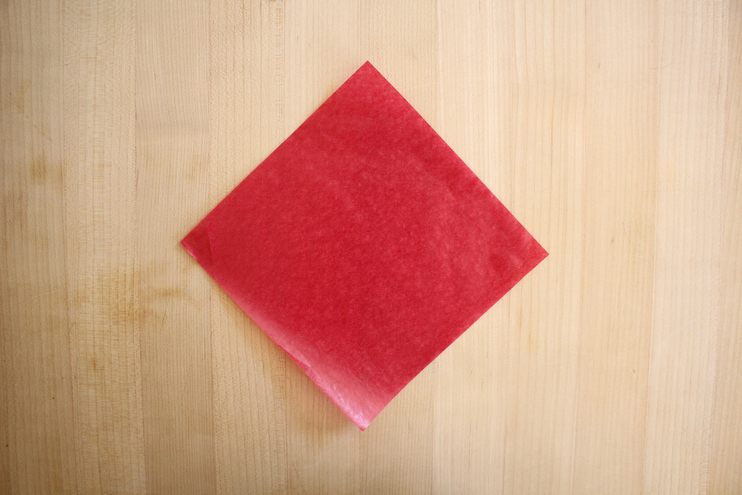 Step 1: Take one sheet of kite paper and turn it so it looks like a diamond. Step 2: Fold it up to make a triangle. Step 3: Open up your sheet of paper and turn it so the crease in the middle is vertical. Step 4: Take the sides of the square, both the left and right, and fold them in so the edge of the square lines up with the crease in the middle. You will end up with what looks like a mini kite. Step 5: Using a glue stick, glue the flaps down that you folded over. You’ve got seven more to go! This star takes eight mini kits to create. Choose your colors to make fun patterns, stick with one hue, or make a rainbow. Step 6: Once you have another piece of kite paper folded and glued, lay it on top of the other folded kite you made with the seams in the back. Glue only the parts of the paper that are touching one another. The skinny part of the kite should be at the top, and the wider part at the bottom where you are gluing. Step 7: Layering and gluing your eight sheets of folded paper should look like this. I would practice this first before gluing it if this is your first time. Once you get the hang of it, you’ll be able to fly through these. Step 9: Your finished star will look like this! Isn’t it pretty? The layered colors will make this look beautiful in the window. 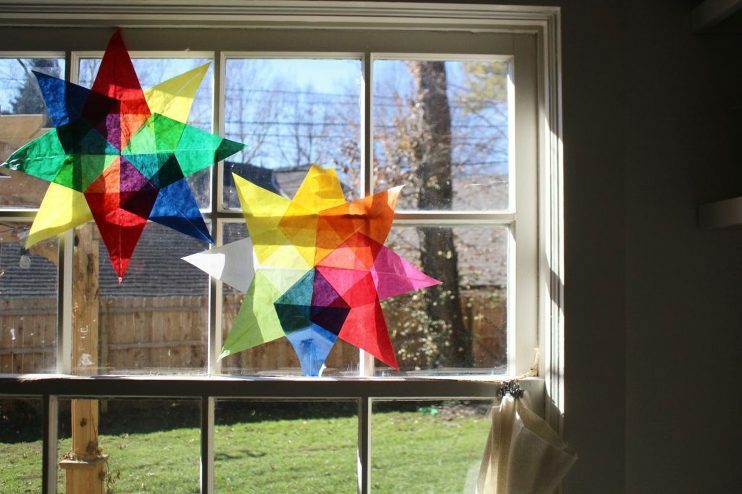 There are many ways to make window stars and this is simply one. You could experiment with the types of folding and gluing to see what you can come up with. 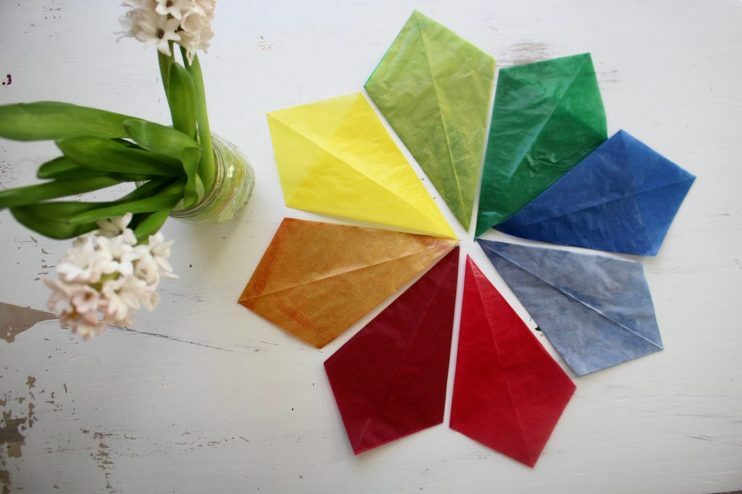 I think mini stars would be fun if you cut the kite paper into smaller squares, or if you layered the sheets like I did above to make new colors. I hope this Waldorf craft brings some creativity and beauty into your home!